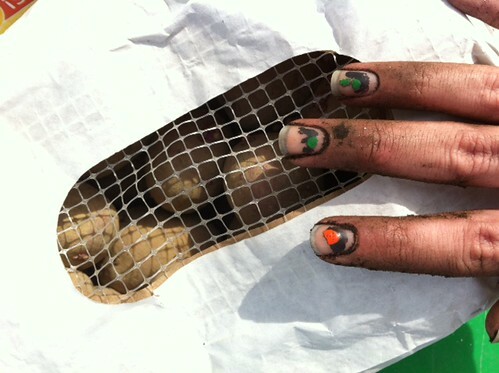 Today we planted our potatoes, this year we decided on Dark Red Norland potatoes. They arrived last week after waiting a few months so we were very anxious to get them planted. 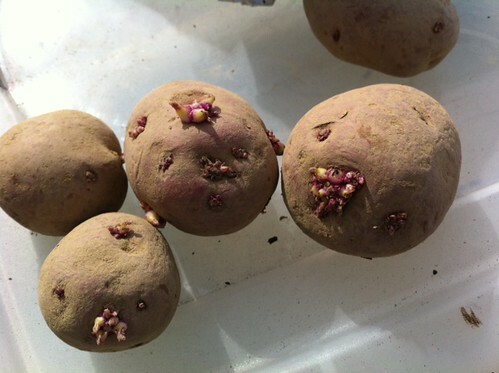 If you remember we had great success with our potato experiment last year, so this year we hope to have success again. I can’t wait to see these plants all green and bushy with surprises under the surface! Here’s our 5 pound bag and my filthy soil digging fingers. We didn’t even use half of these so we’re trying to talk some friends into growing potatoes. If you live in NYC and would like some seed potatoes, email me. 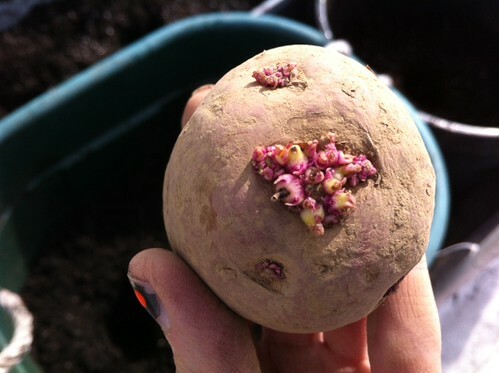 These are seed potatoes, don’t they have lovely eyes? Planting potatoes is really easy. 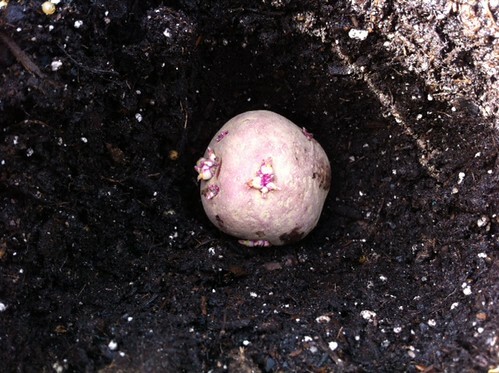 You dig up the soil, place a potato in there, cover it back up, and then a few months later, there will be many potatoes. It’s magic. Just remember that you need to hill a high mound of soil on them once they start growing their bushy plants, and you need to keep on this as the plant continues to grow. Trust me, it will turn into a monster (a lovely one!). 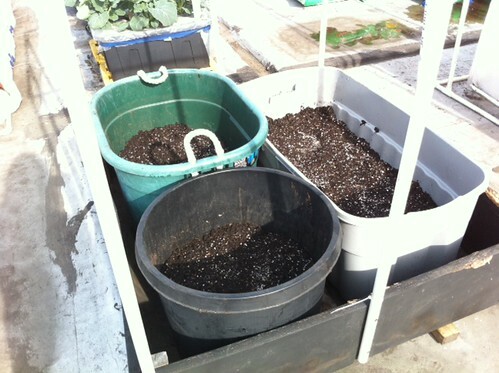 Here are the 3 containers we used, we planted 5 seed potatoes in all.. which I’m hoping will equal baskets and baskets full.